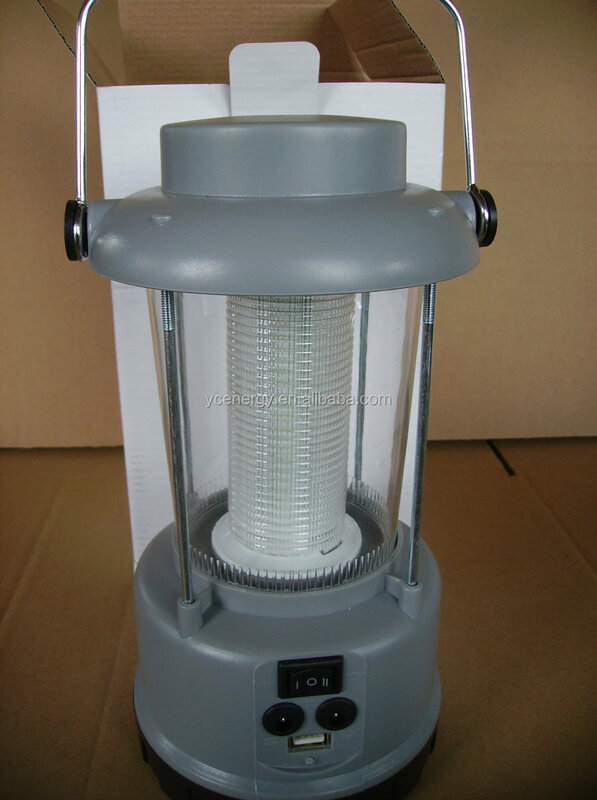 Description: It has the function as a lighting lantern as well as a mobile phone charger. 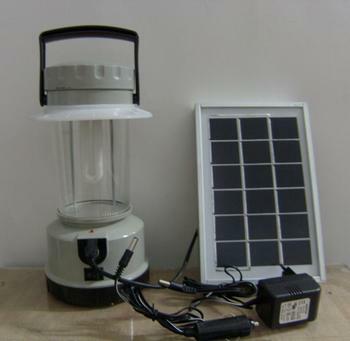 This Solar Lantern are suitable for remote mountain regions, fishing boats, tourist sites, outdoors fields and other places where electricity is short in supply. 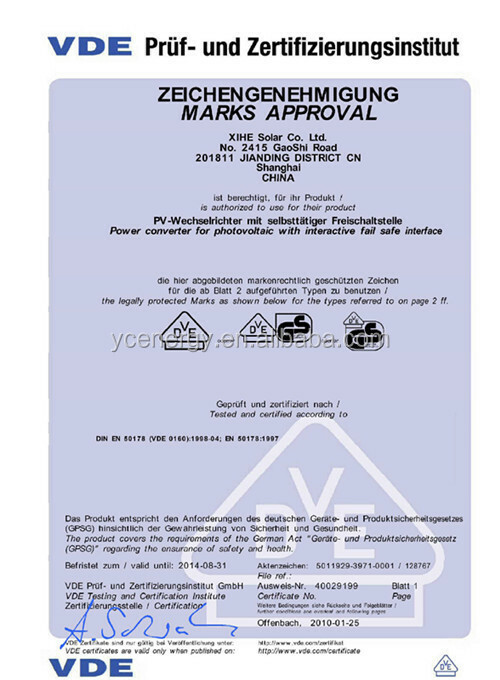 3.Solar panel: 9V/3W multi crystalline solar panel. 4.Lighting source: 36pcs super bright LED. 5. Two charging method and charging time: 10-12 hours to fully charged the battery by 3W solar panel under the intensive sun and 12-13 hours by additional traditional (AC110-220V)-DC(8.4-9v) charging adapter. If hope to fully charge the battery in one typical solar day (5-6hours sufficient charging time). Please pay extra money to increase the solar panel to 6W. 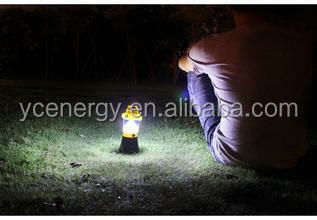 6.Lighting time: continuously lighting around 10-12 hours after fully charged by sun or by adapter for 3W solar panel. 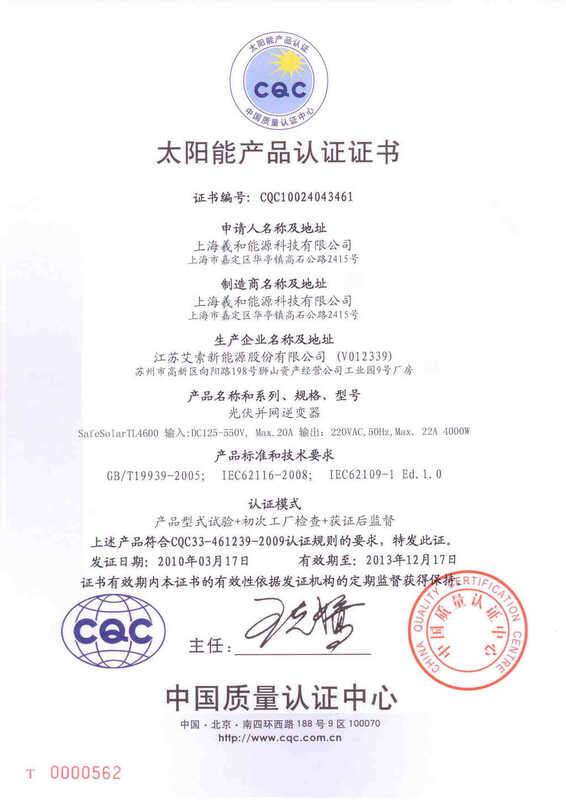 8.Warrant period:1 Year since shipping date. 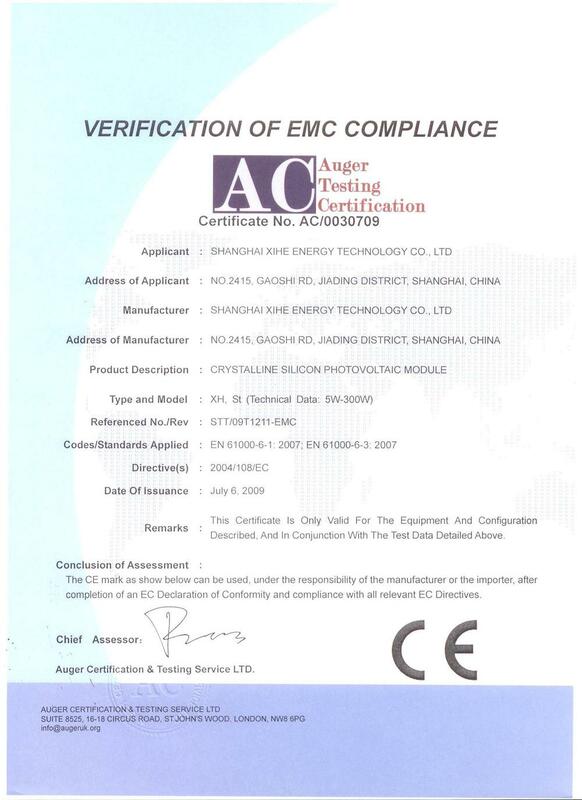 1).We warrant that the equipment has been carefully tested, inspected and left the Factory in proper working condition, free of visible defects, free from defects in material and workmanship, under normal use and operation, for a period of one (1) year after the date of shipping. 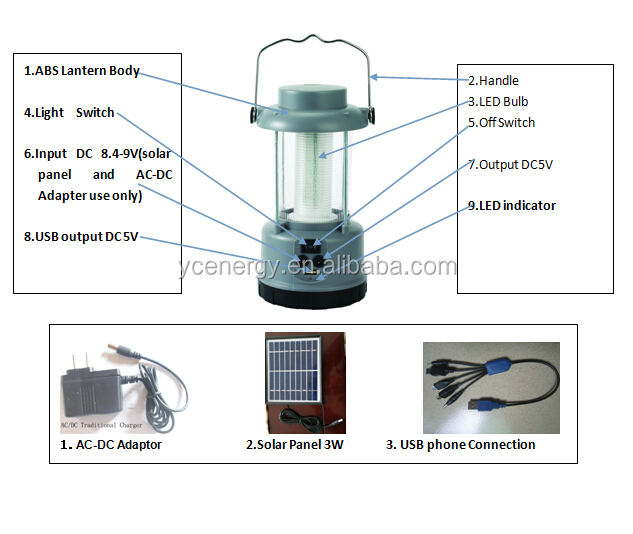 Please be aware that this lantern is not 100% waterproof, the non-waterproof parts includes: Switch parts, Input and Output Hole and the USB charging port. So, please do not use the Lantern in rain or drop it into the water and be careful for water in leakage. 1.Charge the lantern before using if possible, the LED indicator becomes Red when in charging and the AC DC charger’s LED will shine” Green” if the battery has been fully charged and try to charge the battery one time at least in 3months if long time don’t use the lantern in order to protect the battery. 2.Please keep the solar modules/panel face the sun. Plug the solar panels' jack into the main board solar panel charging socket. Always keep a right angle if possible in order to have a better sunlight collecting effect. You can fix and adjust the solar panel's angle according to the latitude in your areas. 3. Please put the switch on the left "Light" side for lighting lantern and on "OFF" for stop lighting the lantern. Just Plug in USB and Right round outlet for phone charging purpose and plug off for stop charging. 4. Any severe strikes, shocks, fires on the lamps are prohibited in order to avoid possible damages. Please charge the lantern timely when the lighting becomes darker. When some of the leds stopped lighting, it doesn’t mean the lantern has broken down. Please charge it urgently to resume its’ lighting.